MOGADISHU, Somalia - Somali Senator Abdi Hassan Awale "Qeybdid" has spoken out about a raid on his residence in Mogadishu on 30th December 2017 by government forces, Garowe Online reports. 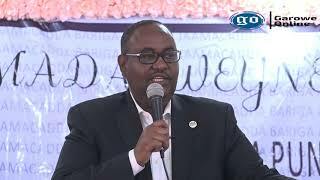 Speaking at a press conference in the capital on Saturday, Senator Abdi Qeybdid announced that he has survived from the broad daylight attack, describing it as 'an apparent plot' aimed to assassinate him. 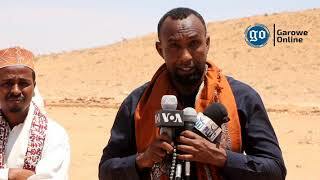 "On 30th December, UAE-trained Somali forces, along with Benadir regional Intelligence officers have raided my house with the intention to take my life, but I survived with the grace of Allah," he said. 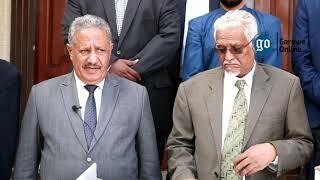 The Senator who is also the chairman of the joint Parliamentary Constitutional Review Committee (CRC), was out of his home at the time of the assault which President Farmajo has condemned as "unlawful". "It was a shock and made me and my family to be devastated," he recalled. The Senator said that one of his security guards was shot and seriously wounded during the raid carried out by the UAE-trained forces moved from their Gordan military base in Mogadishu's Hodon district. Qeybdid thanked President Farmajo and his PM Hassan Ali Khaire for reacting to the incident immediately, but he showed displeasure with the lack of legal action against the perpetrators and not disclosing the investigation's result. "Unfortunately, after 33 days, the government has taken no legal action against the officers behind the attack on my house," said the Senator, adding that his life and that of his family is still in danger. 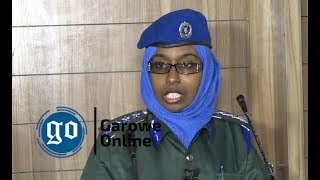 A member of Somali parliament who asked not to be named told GO that the government is not willing to disclose the outcome of the inquiry since its security agencies were involved in the attack. This comes amid a plan by members of the Federal Government allied to Qatar currently pushing Somalia's Federal government to sever diplomatic ties with UAE and side with Doha. 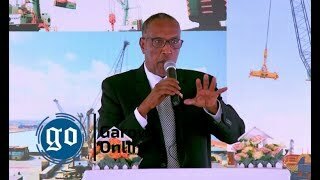 Somalia shares long historic political and trade relations with the UAE which helps the Horn of Africa Country rebuild its national institutions to support in the security and development fields, unlike Qatar.